Incredible Price Anomaly Setup in the NQ – Technical Traders Ltd. 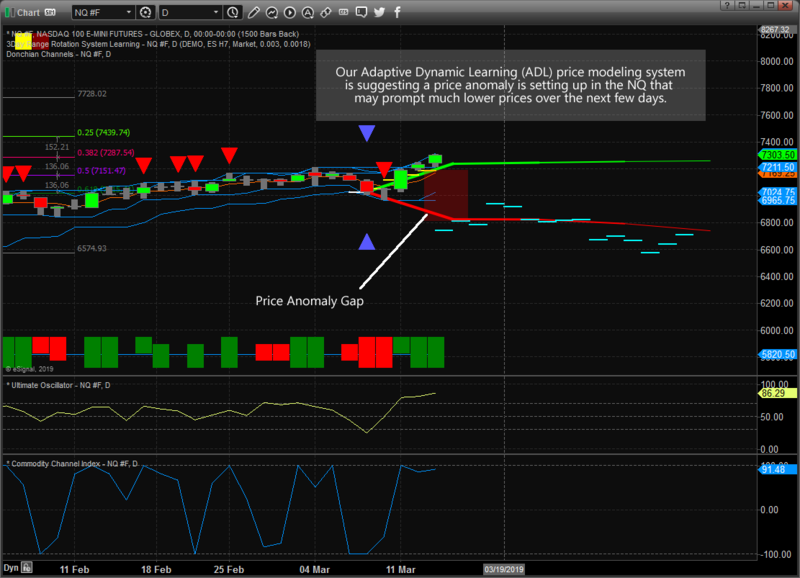 Both the Daily and Weekly ADL predictive modeling systems are suggesting that the upside move is over. The price anomaly could continue for a few more days, we’ve seen it happen in the past where price continues to push away from the ADL levels – this is what makes a price anomaly so exciting. 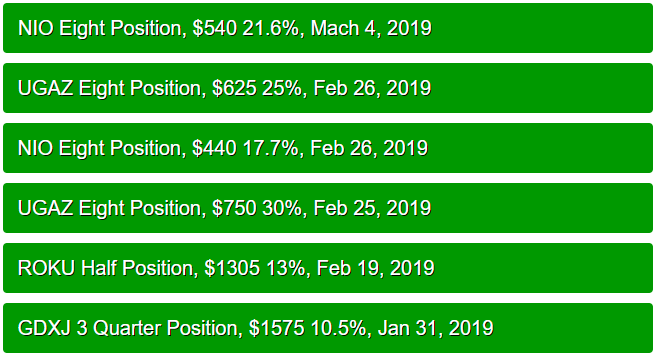 When price moves away from levels that our ADL price modeling system suggests going to happen in the future, it allows us to set up trades expecting the price to REVERT back towards the ADL levels. So in this case, we can start setting up trades near 7300 for the NQ to retrace back to near 6700 – a 600 point swing.